Admit it — most of us have done it. 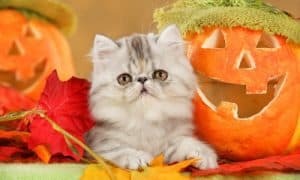 An adorable sweater, a stylish jacket, or even a silly Halloween costume, the majority of pet parents have tried to play dress up with their four-legged friends. Sure, most cats don’t need to wear clothes. There are exceptions, of course – the hairless breeds regularly wear them to stay warm in winter, or a cat that’s recently had surgery may need to wear clothing to protect an incision site. 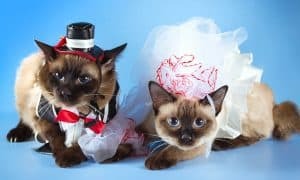 Whatever your reason for playing dress up with your kitty, it’s important to proceed with caution and use some positive reinforcement so you don’t upset your cat. 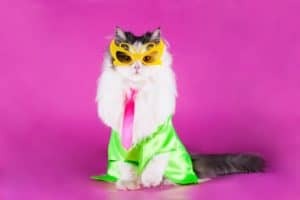 Unless your cat is accustomed to wearing elaborate outfits, keep it simple, realizing that cat clothes might feel strange, make funny noises, and rub them in ways they aren’t used to. If you’re going to put a costume on your cat, ditch the elaborate dresses and opt for something easy like a bow-tie, hat, or simple t-shirt. Always make sure anything you put on your cat is properly sized to fit! This is true of both collars and clothes. Make sure the outfit your cat wears isn’t too tight (or too loose!) and doesn’t impede his ability to jump, move, or breathe. Get your cat used to the idea of wearing a costume early by leaving it out on the floor. After a while, lay the clothing across your cat’s back for a few moments to get her used to it. 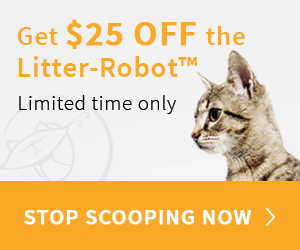 Be sure to reward your kitty with treats or playtime so he associates the costume with positive things! 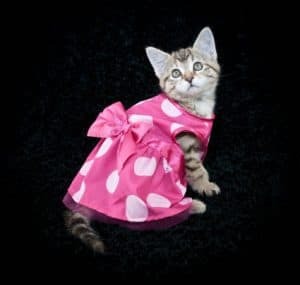 After your kitty has had time to get used to an article of clothing or costume, now you can try dressing her in it. Immediately after you put something on her, let her play with her favorite toy or chase after some high-reward treats. She’ll soon realize the outfit isn’t going to paralyze her and she can move around freely in it. If you’ve got clothes on your cat, never, ever leave him unattended. Cats should only wear clothes under your supervision to make sure nothing happens. A cat left alone in clothes might try to get out of them and end up wearing a shirt around his waist or pulling his leg out of an arm-hole. 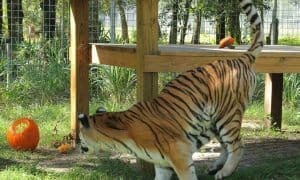 Neither of these scenarios are any fun for a cat! Some cats will tolerate wearing clothes with no problems at all (in fact, some seem to like it! ), while others will freeze and flop over, hide, or even scratch and paw at their duds. If it’s clear that your kitty is uncomfortable, take the clothes off. While a cat in a costume is cute, it’s simply not worth stressing her out. There are NO do’s just DON’T. It’s a ridiculous idea…and an insult to their intelligence!!! 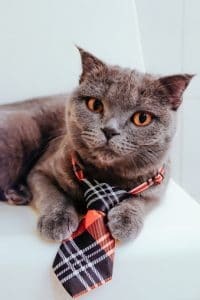 If you are looking a clever idea to dress your cat up? Check out these fun cats instagram pictures having a typical day at the house.